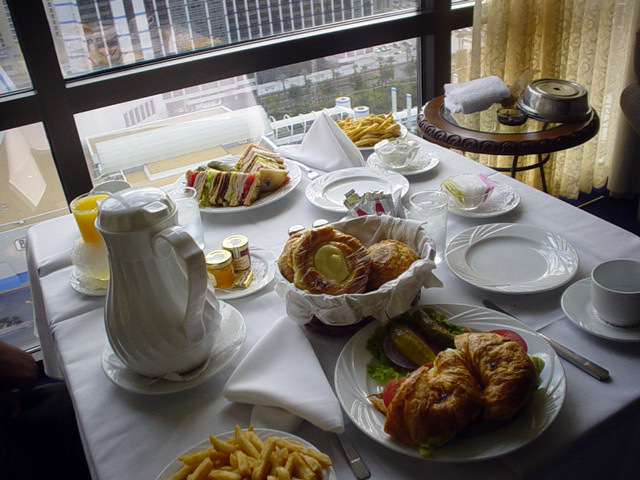 Delicious room service delivery at the Flamingo Las Vegas. Turkey Club, pastries, croissants and a massive vat of coffee. Yum!